The vegetables have good value in human food and nutrients since time immemorial. The world countries of low economy and people with low living status and poverty especially South Asian states have vegetable dietary habits, hence grow and consume much more such green stuff for their food. Pakistan has greater opportunities, being a centre for vegetable production and can export fresh and canned vegetables in most of the Asian countries to earn foreign exchange. At present, mostly the growers depends on imported seeds, but it is true that many jobs farm of labourers, could be created by growing vegetables for seed production, seed trade and export business may also increase, which reduce annual import costs on vegetable seeds. Farmers grow vegetables preferably due to short duration and as low delta crop, which could lower the cost of production. The vegetables have great role in boosting the economy of the country, due to that reason vegetables have potential to earn more income. Growing vegetables around big cities is very profitable job due to local consumption, ease of marketing and export for earning hot income. However, profession of home and kitchen gardening increases in Pakistan. It is time that farmers produce their own seed to discourage import of vegetable seed from other countries and overcome the risk of diseases and quarantine. Pakistan has majority of urban and rural population surviving on vegetables, which is relishing food due to nutritive value such as vitamins, proteins, Calcium, phosphorous, iron, water and mineral salts etc. In its varying climatic conditions, the vegetables grown may vary from leafy to cole crops, root vegetables to bulb or tuber crops, flower vegetables to immature fruit vegetables etc, grown in different parts of the country. The area under vegetable cultivation excluding potato and sweet potato but including onion, garlic, chillies was 0.381 mha (about 1.67% of the total cropped area), producing about 4.06 mton of vegetables. There is increasing demand of vegetables from rural to urban areas due to domestic consumption directly in food either in raw or cooked form. But, vegetables have variety of uses in the preparation of pickles, chutney ketchup, soups, sauces, salads etc. except their edible usage for cooking purposes. 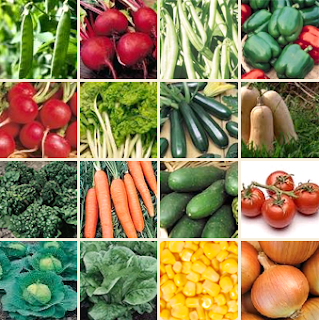 The vegetable cultivation in Pakistan is most probably done in different parts of the country. There is great variety of vegetables along with their edible parts such as roots, tubers, bulbs, Rhizomes, leaves, flowers and immature pods, fruits and seeds. The low quality seed is one of the major yield constraints in vegetables grown in Pakistan. The seed producing agencies and growers both suffer a lot due to timely production and availability of vegetable seed in the market during season. 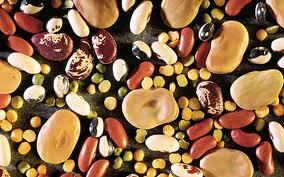 In vegetables, it is noted that the viability of seed is low, which depends upon kind of vegetables grown. 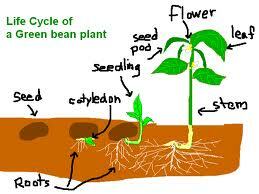 Some vegetables are directly sown by seed, bulb or tuber and others are planted through their nurseries. In different parts of the country, vegetables are grown in kharif or summer and Rabi or winter seasons of the year. The rabi vegetables are grown in cool climate of winter season, which complete their life cycle and mature seeds in beginning of summer. Thus, the seed of rabi vegetables is produced at the maturity time i.e. the months of April and May. whereas, the kharif vegetables mature their seeds in the months of September and October while kharif vegetables are grown in warm climate of summer. The vegetables of both Rabi and Kharif season are shown along with their edible parts in Table 1. Table 1. Edible parts of vegetables. The purpose of vegetable seed production is adapting a set of technology first to cultivate particular vegetable crop and/or its variety under improved agronomic practices such as soil selection, land preparation, nursery raising, sowing time and methods and irrigation, control of weeds, insect pests and diseases, as well proper harvest or picking of the vegetables. The second attempt is production of vegetable seed according to season whether kharif or Rabi by following up the technical points including parts of vegetables used for seed purposes. The vegetable seed production and preparation mainly depends upon crop maturity and time of harvesting/picking. However for seed production purposes, vegetables are grown with special attention to the cultural practices (including seed selection, land preparation, sowing time and method, after care, rouging and selection of healthy seed plants/ harvesting, threshing, cleaning and storing of seed for sowing in next season. In a result, optimum seed yield could be obtained (Table 2). some leafy vegetables such as spinach, coriander, fenu greek, lettuce etc need frequent cuttings and at final cutting such vegetables are left for seed. Whereas in some other vegetables, seed is produced at the time of picking and when such vegetables become unproductive and or season get over, at that time crop is to be left for seed. Some winter grown biennial type of vegetables such as Carrot, Radish, Turnip, Beet, Cabbage, Cauliflower, Onion etc, which do not produce their seeds in the first season due to completing vegetative growth. Such vegetables produce floral shoot and mature seeds in the end of second season. The fruit bearing vegetables such as tomato, brinjal, bitter gourd, sponge gourd, round / bottle gourd, okra, squash melon, peas, clusterbean, chillies, cucumber etc. are normally left to dry their fruit structures for maturing seeds, when such vegetables become un-productive or when season no longer exits. 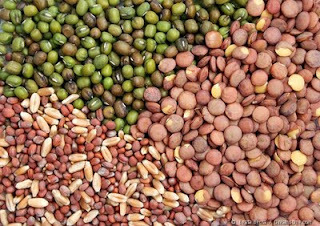 By this practice, monthly un-healthy seeds are produced, but a need is to produce healthy (disease free) seeds. 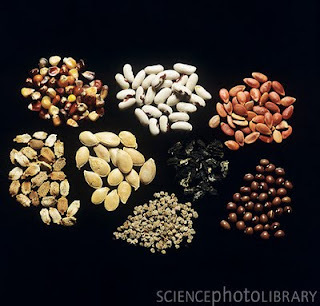 Maturity of different vegetables grown for seed production should be determined. Proper time and method of harvesting should be used for different vegetables. Only disease free pods/fruits should be selected for seed productions from healthy crop. The harvest of pods, fruits and seeds should be done early in the morning or late in the evening to avoid seed shedding. The threshing should be done when harvested material is dry by manual methods. Threshing yard should be near to the field to avoid seed losses. Threshing yard should be kept raised for keeping harvested material such as pods, fruits and seeds to avoid any type of spoilage. There should not be tree or wastage near threshing yard or seed store house to avoid damage by insects, fungus mould, birds, rats, squirrels etc. The control measures such as spray or dusting of the pesticides around the store houses should be done to keep away pest animals. The clean seed of particular vegetable should be treated with pesticides to avoid store grain pests such as fly, termite etc. The properly prepared and cleaned seed should be put in cloth bags for packing purposes. The bags should necessarily be labelled with name of variety, grower's name, weight of seed and date on which seed has been prepared for marketing. Avoid to use tins or plastic bags for packing seeds, which spoil seed due to moisture. Farmers grow different categories of vegetables for variety of purposes, which need techniques preferably used to extract seed. 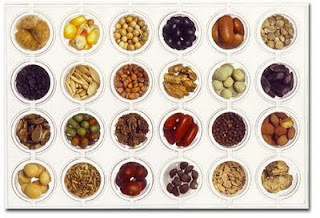 There are various methods and techniques by which seeds are produced. The vegetables grown for seed production, may be grouped according to seed bearing parts such as pods, fruits, capsules or floral shoots etc. But that needs production technology to grow vegetables, their after care, crop maturity, harvest time and methods as well as methods for extracting seeds. The picked pods / fruits of vegetables should be healthy and free from insect and disease attack. The cultivation of vegetables which produce pods according to season. The crop husbandry practices include timely irrigation, weeding and insect control etc. picking of pods could be started when vegetables mature their pods, which turn colour from green to light brown, to avoid shedding of seeds. Keep such harvested material for drying upto a week. Threshing of pods should be done with sticks and seeds should be cleaned by separating husk and straw. The clean and dry seeds must be filled in small cloth bags. The cucurbit vegetables are grown in kharif or summer season and mature seeds in the months of autumn or winter. After cultivation of vegetables after care of crop including weeding, irrigation and insect pest control may necessarily be done. At the time of maturity, ripe or mature fruits of such vegetables should be picked and kept on dry and hard place. Squash melon fruits should be dried for one week and after that are broken into two equal halves, to avoid seed damage. The clean seed should be sun dried and kept in bags. Bitter gourd ripe fruits should be gathered under shade without keeping in bulk. As and when bitter gourd fruit become soft, the seeds should be picked out and also separated from red type pulp material with dung ash by rubbing seed in hands. Sponge gourd ripe fruits should be picked and dried, when turn into brown at that time fruits should be slashed from one side and seeds may be taken up by shaking dry fruits of sponge gourd. Round / Bottle gourd ripe fruits should be picked and dried at one place. When seeds are dried inside, must be separated by giving cut to the dry gourd fruit. Pumpkin (white and red) matured fruits should be picked and cut into equal halves to separate seed. After drying, seed should be cleaned by rubbing within hands and may be filled in cloth bags. The root vegetables grown for seed purpose, need dual land preparation, sowing time and method, after care including weeding, fertilizer and irrigation application insect and disease control. At maturity crop is harvested, dried, threshed and seed should be cleaned before packing. Radish grown for seed include its top portion which is cue at 1/3 from lower side. Radish top portion should be planted on both sides of 21/2 ft. ridges and irrigated immediately. The mature pods of radish should be harvested and sun dried for one week. The seed must be threshed from pods with sticks on cemented thresh yard and cleaned by separating husk and straw. The seeds should be filled in bags. Carrot grown for seed include its top portion in which top leaves should be removed first. The lower part of the carrot should be cut half way for planting on 21/2 ft ridges. When crop mature, such material should be harvested and suns dried for a week. The carrot seed is delicate one, which must be separated carefully and packed in small bags. Turnip grown for seed include top portion of root. Turnip leaves must be removed first and lower part of the root should be cut before planting for seed purposes. Turnip top portion is planted on 21/2 ft ridges. When turnip pods mature, should be harvested and sun dried for a week. The seed should be threshed and separated from husk and straw and filled in bags. 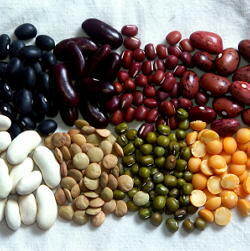 The seed vegetables, which produce seed that can directly be used for sowing purpose. The vegetables are grown according to season. After cultivation crop should be properly managed. Leafy vegetables, which at the time of maturity produce seeds. Spinach, coriander and Fenu greek crops should be left for seed after second cutting. Irrigation water should be given at the time of flowering. The crop mature seeds in the months of April and May. When all three vegetables mature seeds, the harvesting should be done. The harvested material should be collected at hard soil and left for sun drying over a week. After necessary drying, the material should be threshed, cleaned and seeds should be filled in bags. For seed purpose, it is better to select a good quality bulb, which must be grown during 15 December to 31 December. The both crop needs proper land preparation, sowing time and method, after care, irrigation and weeding etc. Planting should be done on ridges. In case of onion, the bulbs be cut at l/4 from the top and bottom portion of bulb root, which should be planted on 21/2 ft, apart ridges. The light watering should be made to transplant the bulbs at 21/2 ft. distance for seed purposes. At initial time, weekly watering is necessary. Weeding and interculturing should be continued at the intervals. The crop will produce floral shoot. When it turns from green to yellow, it is time of maturing seed. Crop floral shoot must be harvested. After necessary drying, onion floral shoot should be threshed by using sticks. Such seed be cleaned, dried and filled in bags. However, mature garlic bulblets in a whole should be collected at the time of harvest, which may be used as seed for planting new crop. The vegetables when produces flowers, in such condition should be transferred to another suitable land. For growing such vegetables, better agronomic practices like proper land preparation, nursery raising, sowing time and method, after cares irrigation application, weeding and interculturing and pest control measures should be properly made. Cabbage is grown on well pulverised and fertile soil, under sub-plots with low ridges at least with 8 sub-plots in acre. The cabbage flowers with cross cut should be transferred to pits and light watering should be made immediately after planting. When pods / fruits start maturing, such should be picked immediately. Otherwise, there would be loss of seed shedding. Pods must be kept for drying on high and dry place under sun heat. The seeds are sparated by hammering with sticks and filled in cloth bags after necessary drying. When flowers start maturing, pods are picked and kept over high and dry place under sun heat. The seeds are removed, separated and filled in cloth bags after drying. Cauliflower is grown under same condition required for cabbage. Only the difference is that the cauliflowers should be transferred to another place after flowers appear and only central part should be left and sides of the flowers are removed to initiate growth. When flowers start maturing, pods are picked and kept over high and dry place under sun heat. The seeds are removed, separated and filled in cloth bags after drying. The fruit bearing vegetables when are grown for seed production purposes need nursery raising for healthy plants. But, okra is directly grown by seed. The cultivation of above vegetables include precise land preparation, proper sowing time and method, weeding, interculturing, irrigation and fertilizer application as well as plant protection measures. Tomato grown on ridges at 21/2 ft between rows and 1-11/2 ft, between plants. The crop should be irrigated 2-3 times after transplanting and weeds should be removed by 2-3 interculturings, and earthing up is necessary for root development. The healthy and early maturing fruits should be selected for picking to produce seed. Tomatoes are kept at proper place after picking for easily handling. The tomatoes are categorised according to size and variety. When picked tamatoes become soft, at that time ripe fruits are squeezed by hand to takeout seed. By putting in half filled bucket or tub with water washing and screening may be done. When washing is completed, the seeds are to be kept over neat gunny bags for drying under sun heat. Brinjal is grown on ridges at 21/2 to 3 ft between rows and 11/2 to 2 ft between plants. The crop should be irrigated 2-3 times after transplanting and weeds should be removed by 2-3 interculturings, and earthing up is necessary for root development. Whereas, pest control is important during crop growth period. For seed purpose variety wise healthy fruits of normal size should be selected and when ripe fruits turn their colour to yellow, picking of fruits must be done and are left for the sun drying. The dried fruits should be broken with sticks and seeds will come out in bunches, which must be separated by hands and again dried on cloth under sun heat. The seeds should be filled in bags, may be kept at dry place. 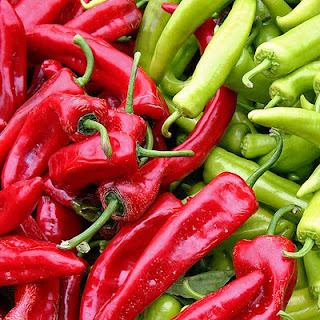 Chillies are grown on ridges at 3 to 4 ft between rows and 2�21/2 ft between plants. 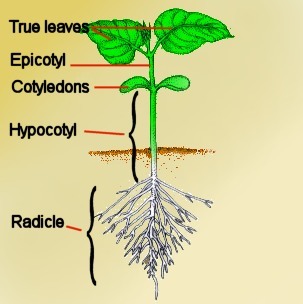 The crop should be irrigated 2-3 times after transplanting and weeds should be removed by 2-3 interculturings, and earthing up is necessary for root development. The chillies are grown at different times. Hence, chillies mature seeds at different times according to variety. But, chillies need proper nursery raising, transplanting time and methods as well as their maturity. After care of chillies include weeding, irrigation application and pest control. For seed purpose, healthy fruits should be selected. The ripe fruits should be picked or separated and left for drying. The turning of drying material should be done every days. When dried fruits give sound by shaking at the time whole dry fruit must be filled in bag until season comes. At that time, seeds are separated by hammering with sticks, which may be used for sowing purposes. Okra / Bhindi is grown on ridges at 21/2 to 3 ft between rows and 6 to 9 inches between plants. For seed purpose, spring grown Okra should be preferred. The okra fruits appearing at middle or bottom of the plant must be left for seed production. During April and May when such ripe fruits turn colour from green to brown and okra fruits start splitting, at that time must be picked and collected to proper place. Okra fruits should be left for drying under sun heat in baskets and turn after every day for a week or two weeks. When collected okra fruits are properly dried, at that time seeds are separated by hammering with sticks and husk or straw must be removed. The cleaned seeds are dried for one or two days and filled in cloth bags. * Associate Professor, Department of Agronomy, sindh Agriculture University, Tandojam. ** Associate Officer, Agriculture Research Institute, Tandojam.